Ever been tongue-tied on the phone with a lead or hit send on an email and think... now what? Following up with leads can be overwhelming on a number of levels. The number of channels we use to communicate is growing and evolving daily. As an agent, you need to follow up with leads often and across multiple platforms: phone, email, voicemail, text, video, etc. It is important, then, to make sure you are using the right method at the right time to optimize your strategy and make a real connection with each lead you talk to. 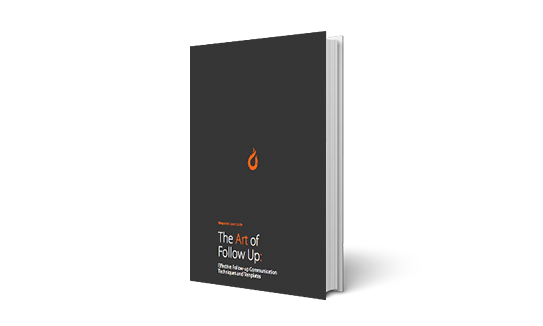 You know the importance of reaching out to leads and following up correctly. However, it can be overwhelming to consider the full extent of communication and how many ways there are to interact with each lead — not to mention how the rules shift in each method. Don't get discouraged and don't hit the send button on that text, email or phone call just yet! We've analyzed phone, voicemail, email and text to highlight exactly when each method is most useful and delve into the important best practices for each. End with questions to keep leads engaged. Getting a lead on the phone is the best way to make a real connection. We've also included templates for each method of outreach for you to reference and to gain conversation ideas from. Ensure you make a strong connection with your leads right off the bat. Optimize your strategy and your close rate by optimizing your communication methods and practices. Download your free guide: Effective Communication Templates here.